There's something to be said about a genuine and gracious competitor. You know, the kind of person that will annihilate you in the competitive arena, or at least try to, yet after it's said and done, wishes the best for you, encourages you, and supports you in a genuine way? Not in a phony way. Not in a vicious way. Just a person with an amazing heart with respect for competition, including a push in a positive and healthy way that points you in the right direction. These types of people are few and far between, in my opinion. I seek those kind of competitors. Competitive by nature. I've always had the competitive bug or spark. Whether it was in athletics, school, on the playground, or adventures in life. By nature, events and life experiences have turned into a competition for me. Competition inspires me and motivates me whether I'm good at something or not. Now, this definitely can be and has been destructive at times in life, but it has also been a wonderful character trait. The challenge has been trying to find BALANCE within this trait to make sure it does not turn destructive and doesn't eat away at the psyche. Wisdom learned over the years. As time goes on, I've learned to find the balance and be more acceptive of embracing where I am right now in life. Sure I've got goals and aspirations that I am motivated to achieve, but I can only focus on what I can control at this point in time. It's a daily challenge, and I'm determined to make progress here even if it's imperfect progress. It's finding a way to give yourself grace and be ok with where you are in life right now even if the competitive spirit finds you fell a little short. Don't get me wrong. I will continue to compete with you, but I will drag you alongside me if you aren't giving the effort to keep up. I will not let you stop. I will not leave you behind. I will yellat you if you are self deprecating. I will shake you silly if you don't believe in yourself. I will give you a big kick in the heiny to get you up that hill (and you may also have to drag me to the scooter store to keep up due to my decrepit joints-minor detail...). Once you pass me or if you were always ahead of me, I will also genuinely praise you, and encourage you to better yourself. Keep going! I hope in return you take me along for the ride as well. I will always try to keep up. In the grand scheme of life, we're all just trying to be better people. I hope you choose to identify, embrace, and share the genuine, gracious competitor in you. Don't be a phony. Be real in a gracious way. We all could benefit from what you have to offer. **A special shout out to some genuine, gracious competitors who have influenced me as of recent-- Thanks to Trish, Dave P., Camille, and Ms. Tali. 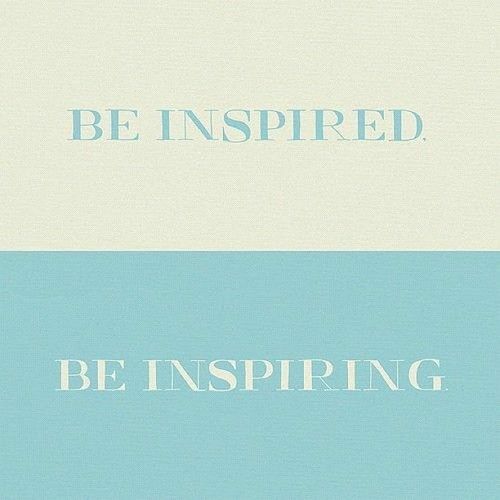 You inspire me, motivate me, and challenge me in multi-faceted ways!